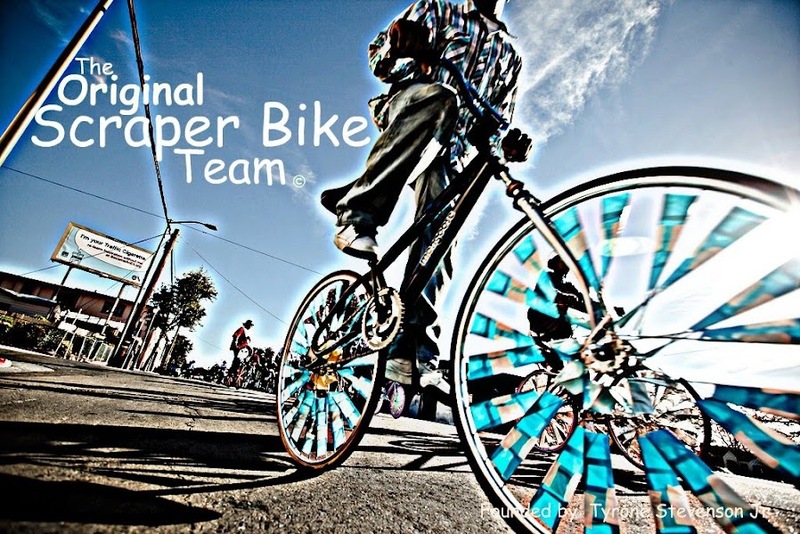 Original Scraper Bikes: Trick Or Treat!!! Which means Scraper Bike Day !!! This will be our 4th annual Scraper Bike Day - Halloween Bike Ride. This year were keeping it simple with a short video and photoshoot, followed by the Scraper Bike Halloween Street Take-Over!! The Scraper Bike King wants to dedicate this Halloween ride to his cousin Markell Goodwin who was recently a victim of gun violence. Markell, You Will Be Missed. I watched a video about you on California is a Place, and heard a story on NPR. I think what you are doing is really great. I am a college student working on a project for Dowser.org. We're collecting experiences from social innovators to share with people that want to make a difference in their neighborhood. Could I get a hold of you (call or email) so I can ask you a few questions about your experiences? Send me an email if you are able to help me out. Seems like these comments are mostly from people wanting to get in contact with you guys. I neglected to leave my contact info. mMy email is logan.esq [at] gmail [dot] com.